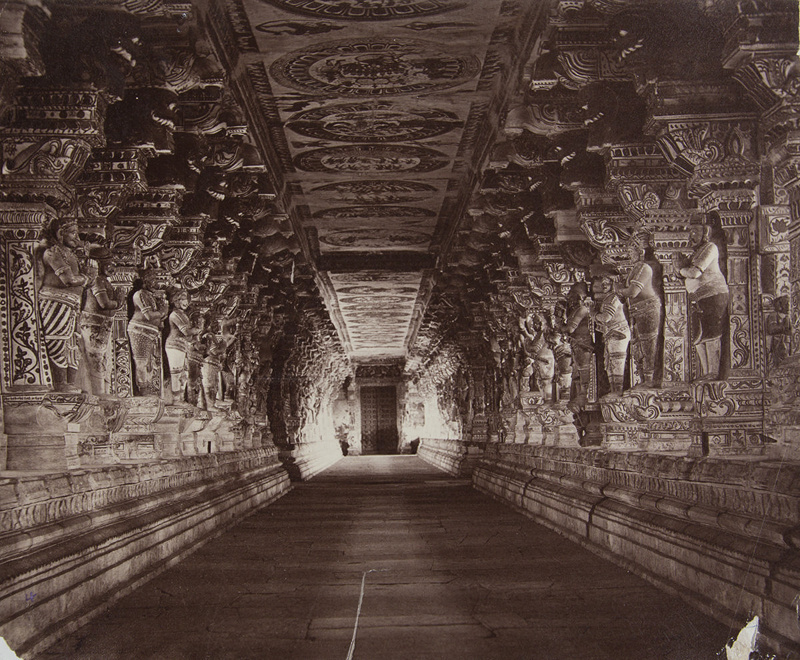 About this objectView of a long colonnade in the Ramalingeshvara Temple in Rameswaram, India. 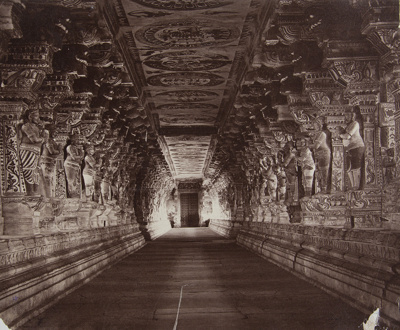 The colonnade is part of the temple complex, built primarily in 17th and 18th century. There are over 4,000 carved and painted pillars in the colonnade. The colonnade is nearly 400 feet long.